Construction Direct attach construction featuring cushion polyurethane midsole. 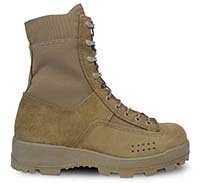 Comfort Removable / washable mil-spec polyurethane orthotic footbed. Ventilation Strategically located perforations for enhanced breathability and rapid drying. Perf location aids in pumping wather out. Upper Lace to toe design for improved fit adjustment. Waterproof Coyote flesh-out cowhide / 1000 denier DWR Cordura upper. Closure System Nylon coated speedhooks and eyelets with flex notch in eyestay. 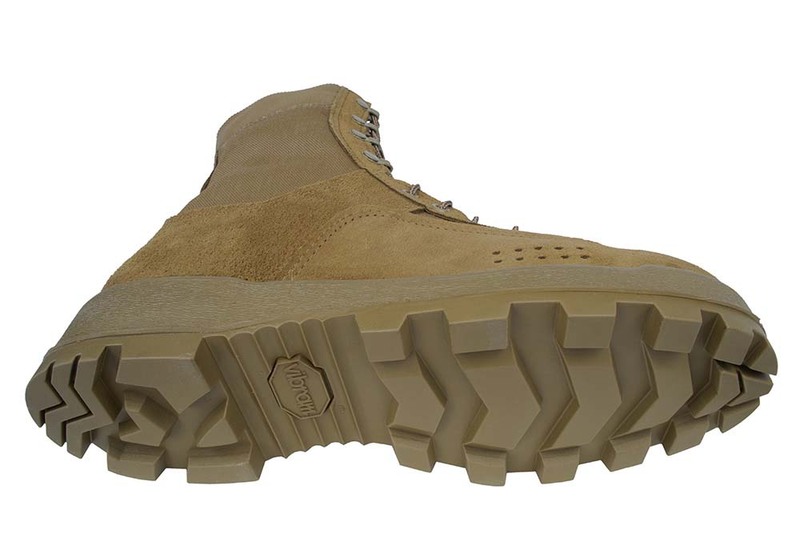 Outsole New Vibram Jungle Boot rubber outsole. Designed for improved shock absorption and optimum traction in most all conditions. 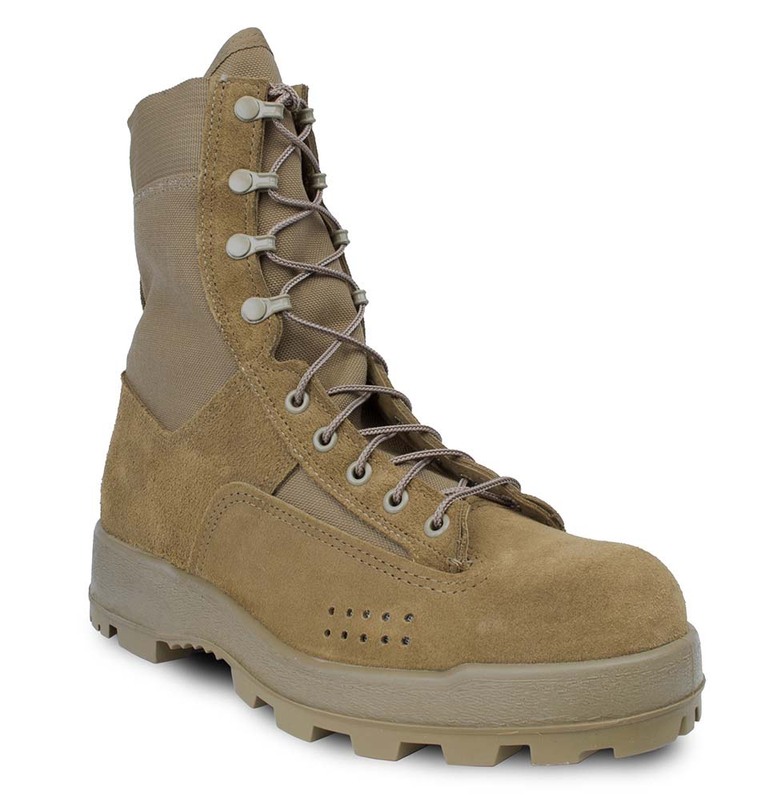 Special Protection Feature This boot features the new mil-spec non-metallic puncture resistant insole.